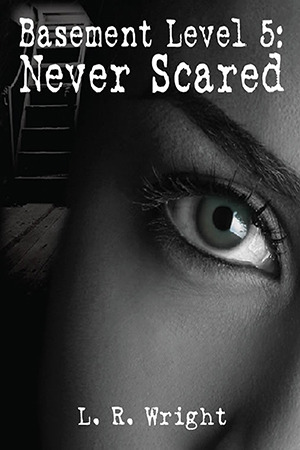 Today I have Leslie Wright here to talk about one of the themes of her book Basement Level Five: Never Scared. When talking about themes present in Basement Level Five: Never Scared, I’d be remiss if I didn’t talk about one that is very near and dear to my heart—generational curses. Generational curses are basically judgments passed on to children from their parents— and their parent’s parents and so on. How are people able to overcome their upbringing to be better human beings? I’m always been inspired by people who beat the odds—children who grow up and choose to take a different path instead of becoming a product of their environment. As a parent, I’m always conscious of the example I set for my children. They look to me for guidance and I want to give them the best chance at life, so I act accordingly. You can only say “do as I say, and not as I do” for so long. Believe me I’ve heard it from adult figures in my own life way too much. I don’t want that for my kids. In Basement, Alexa was trained—by her father—to eliminate threats. In addition, she was raised around people who didn’t value life—people who did whatever it took to make the almighty dollar. It’s interesting how she adapted to the life, because that’s all she knew. The important thing to note was she had a desire to be different. She didn’t want to end up like her father, although she loved him dearly. She wanted a better life for her children. It takes strength of character to walk away from something ingrained in you. Not many children are able to escape. But if anyone can, Alexa can. And she can use life lessons taught to her by her Daddy—to be fearless and always protect your family no matter what—to accomplish something her father was never able to do. Will she be able to rise above her circumstance to give her children a better life? Alexa Martinez was raised to believe that murder, deceit, and lies were a part of life. A trained killer, she follows in her father’s footsteps, specializing in political assassinations for Martinez Security—contracted through the CIA. She thrives on the power, money, respect, and—most of all—the adrenaline rush. Despite the danger associated with her profession, Alexa strives to give her children a normal life. But when her past catches up with her, they become pawns in a deadly game of revenge. Operating from a secret base five levels below ground, Alexa struggles to unravel the puzzle, uncovering secrets that will alter their lives forever. Now she must make a choice—is she willing to die to give her children a life outside the bullet proof glass? As Alexa neared the street, a shadowy figure turned into the alley. She froze. The sun had already gone down, so she wasn’t sure if he’d noticed her. Cautiously, she slipped behind a trashcan and leaned against the wall of the store. “Did you see her?” a male voice asked. She closed her eyes and wondered how she was going to get out of this. Grabbing an empty pop bottle, she pitched it behind her. Footsteps raced toward the sound. Once they were passed her, she bolted for the street as fast as she could go. It seemed too easy, but she went with it—until she ran right into a third man, who grabbed and hauled her off her feet. She struggled, kicking and punching him. Finally, he lost his grip and dropped her. She immediately socked him in the balls. It stunned him, but not enough to disable him. He grabbed her hair as she slammed him in the knee with her good foot. His leg buckled, but his grip remained steady. She grabbed another stray bottle and bashed him in the face. Releasing her, he collapsed to the ground with a thud. Another man advanced toward her and she kicked him in the chest. Yanking her knife from its hiding place, she thrust it into his neck. As a third man charged her, she pulled the knife out and plunged it into that man’s leg. Thanks for having me, Sarah! I appreciate it! Thanks Debbie! I love Alexa! She's definitely a fighter. I can identify with Alexa, not that I'm a trained assassin, but about breaking free from your roots and making it in the world on your own. The sad part is the parents who don't see the real reason their children left. Good luck with your book, I have it on my TBR list. @Zrinka, you are so right. So many parents just don't get it. @Liv, I always wanted to write book club books. I love to make people think. Thanks, Ladies, for stopping by. Ooh, a very good excerpt. Action-pack. I was imagining it all the way through. NIcely done!